Got an after-hours truck tyre emergency? Please call us for any truck, tractor or industrial tyre repair. No job is too big or too small. To contact the East Maitland store, please call (02) 4933 6722. We regularly offer tyre deals and promotions on our huge range of quality brands. How long is my rego check valid for? Rego checks take approximately 30 mins to complete, and are valid for up to 6 months before your rego is due. Your car is drifting to one side, even when you think you are driving straight. You are driving straight but your steering wheel isn’t centered. Your tyres are wearing irregularly on their inner or outer edge. These issues may also be caused by other mechanical issues. Please contact our friendly sales staff to find out, and book your wheel alignment today. My car is shaking, what could this mean? Your tyres may need balancing if you are experiencing shaking or vibration at high speeds. 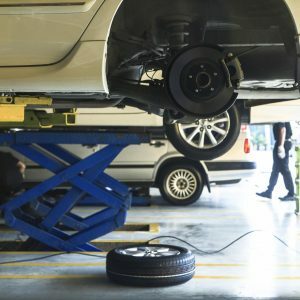 Unbalanced tyres can cause excessive wear and other mechanical issues. Buy any tyre from us and we will balance it for you for free. Our friendly sales staff would be happy to make a booking for you on the phone or via an online enquiry. Can you fix my punctured tyre? Punctured tyres can be complex in their cause and extent of repair. For this reason we offer free tyre assessments. If your tyre is deemed repairable, we can fix it for you. Feel free to contact our friendly sales staff if you have any questions about your tyres. © 2019	Valley Tyres. Website Designed & Developed by Insight Digital Marketing.